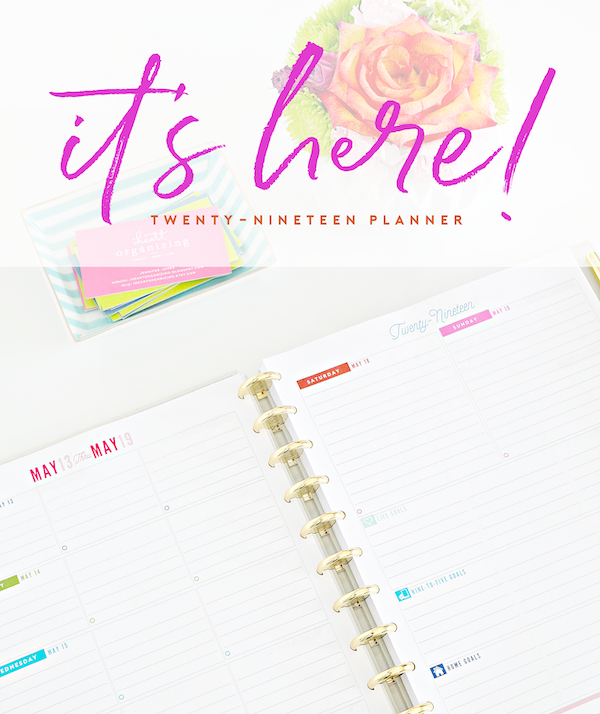 I have been releasing annual planner pages since 2013 and I love how they have evolved over the years. The colors, the layouts, the size options... there is so much to appreciate and enjoy with these happy pages! 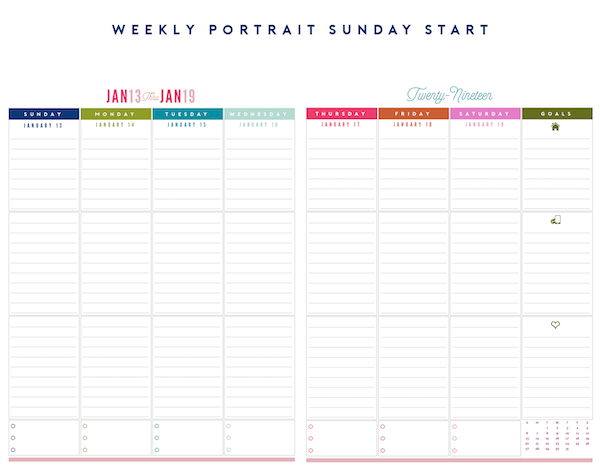 The new 2019 Weekly Planner Pages are available in my Etsy Shop now! 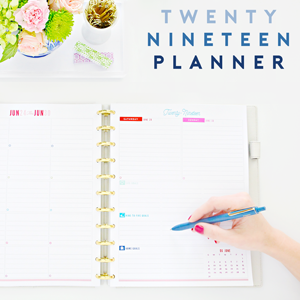 As a busy mom with a business and big goals and dreams, I rely on my planner more than ever. 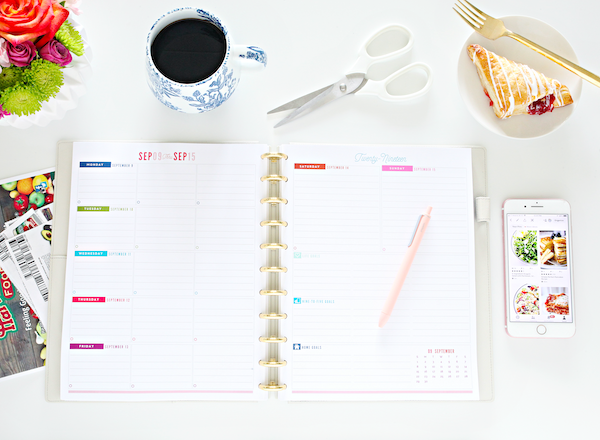 Yes, technology continues to aid me in my day-to-day life as well (I have a special appreciation for timers, reminders, my camera roll, and notes apps), but nothing compares to putting my thoughts, plans, dreams, goals, and energy onto paper. 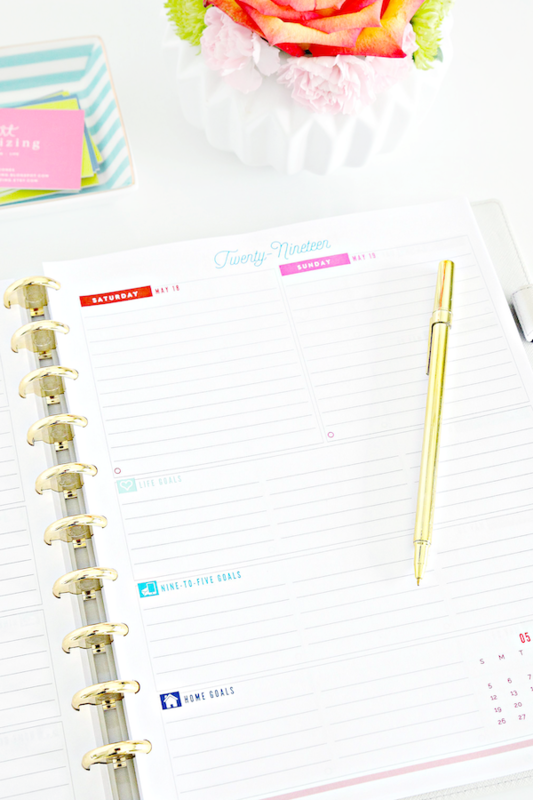 I rely on the ability to visualize what my days/weeks are going to look like so I am able to plan meals around baseball games, schedule appointments around work deadlines, plan date days and nights around family commitments, keep track of my cleaning schedules and home projects... A place for all of the ideas, desires, and obligations to live. What makes these pages extra special? 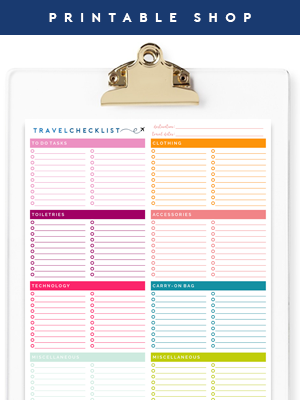 First, they are printables! 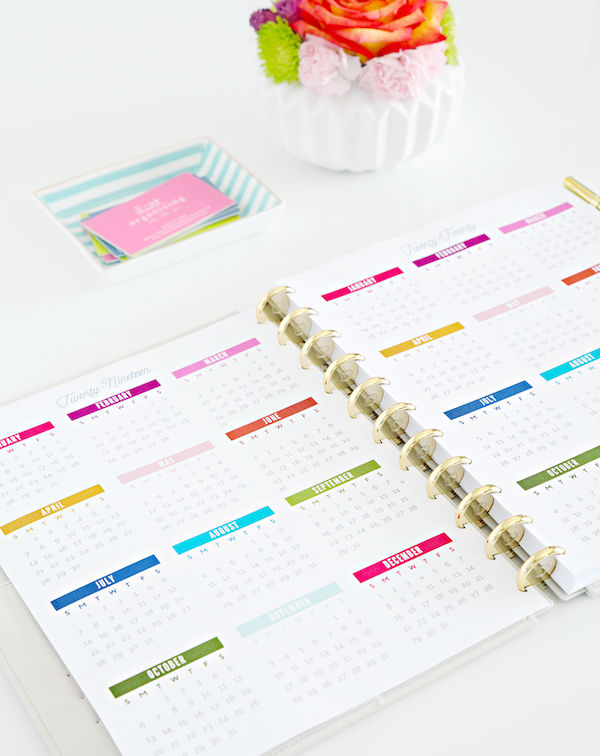 And that means that they can be printed anytime from home and put into any type of binding system that you wish! Binding options are shown from left to right: Wire Coil and Plastic Spiral Binding (works with all three paper sizes), Junior Discbound, Mini-Binder, Full-Size Discbound, and A5 Filofax. 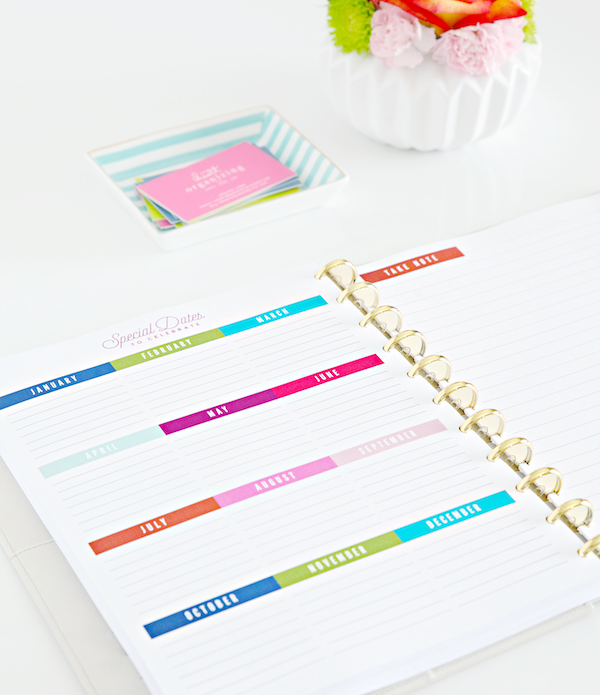 This is only a handful of the ways the planner printables can be utilized and toted around. 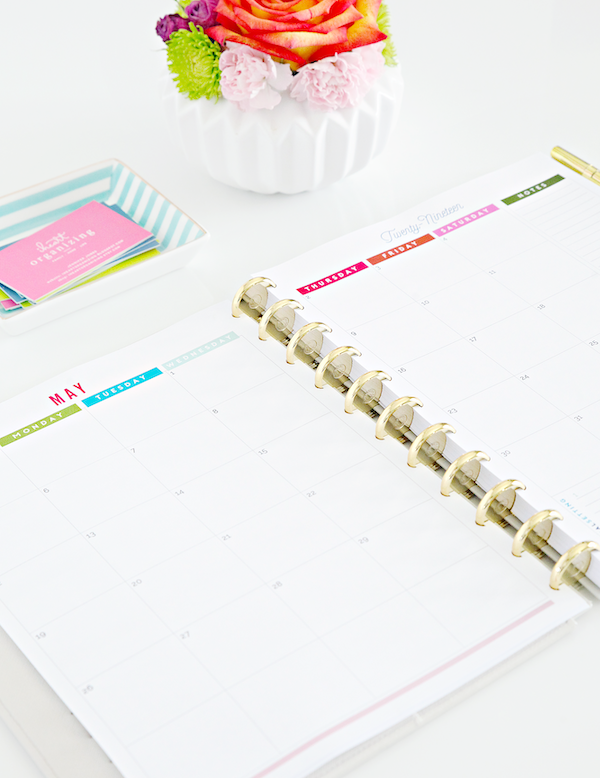 One major benefit of utilizing your own binding is that it can be refilled year after year. 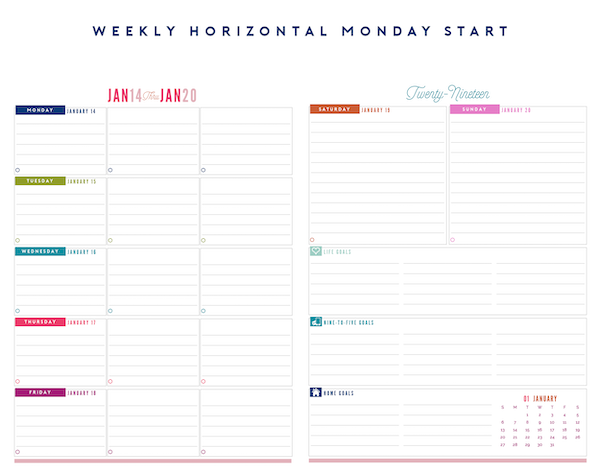 Printable planner pages also come with the perk of re-printing if you ever need a blank slate for a day, week, month or even the entire year. These files may also be sent to a professional printer to be printed and/or bound, a print release is included with every order. 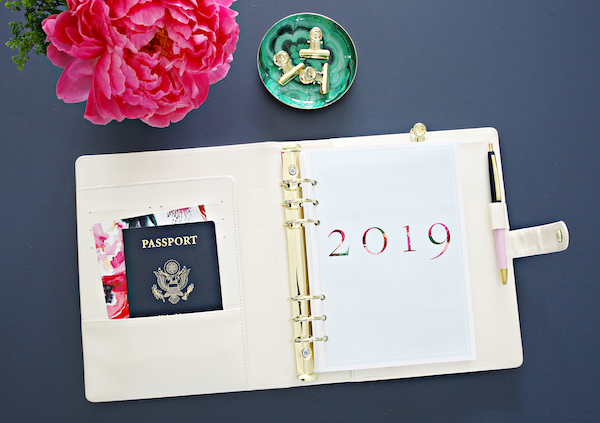 The first two pages include a full glance at both 2019 and 2020! 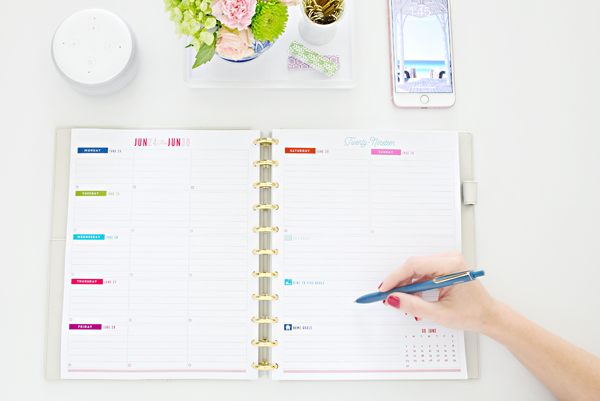 To kick off each month, there is a two-page calendar spread that offers high-level planning, general monthly goal setting and a place to jot down a few ideas and notes. 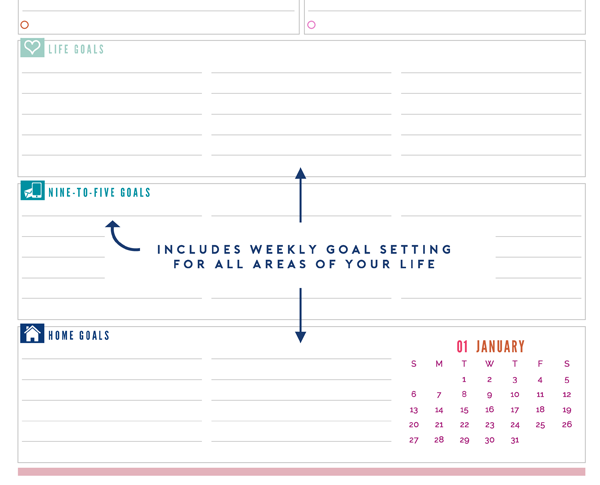 Each size comes with three weekly layout options for you to select from. The layout variations all offer the same content, it really just comes down to preference in binding and planning styles. I especially appreciate a few recent updates to the pages which include a division between morning, afternoon and evenings. 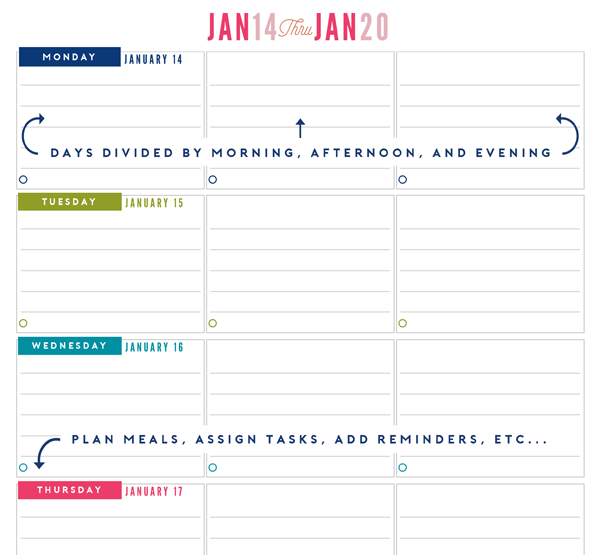 In past versions, there was a specific area for daily meal planning, but by giving it a title it felt a bit limiting. Now the titleless space can be used for breakfast/lunch/dinner, or as a place to set personal goals, assign household cleaning tasks, add specific reminders, etc... 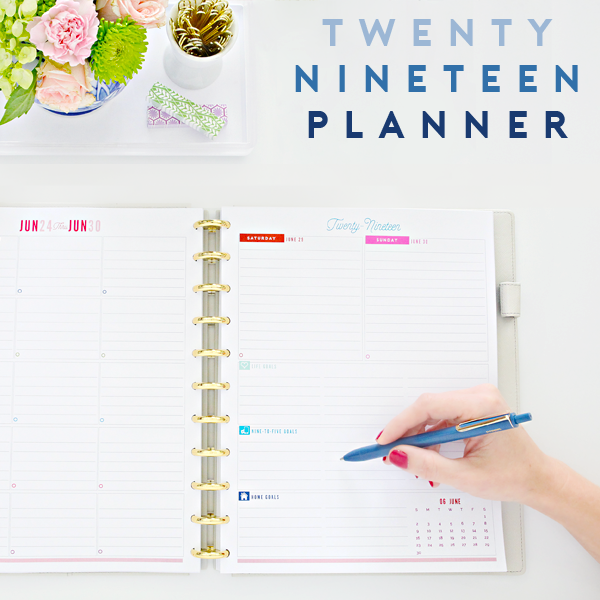 It offers a bit more versatility depending on what matters most to you when planning out your days. 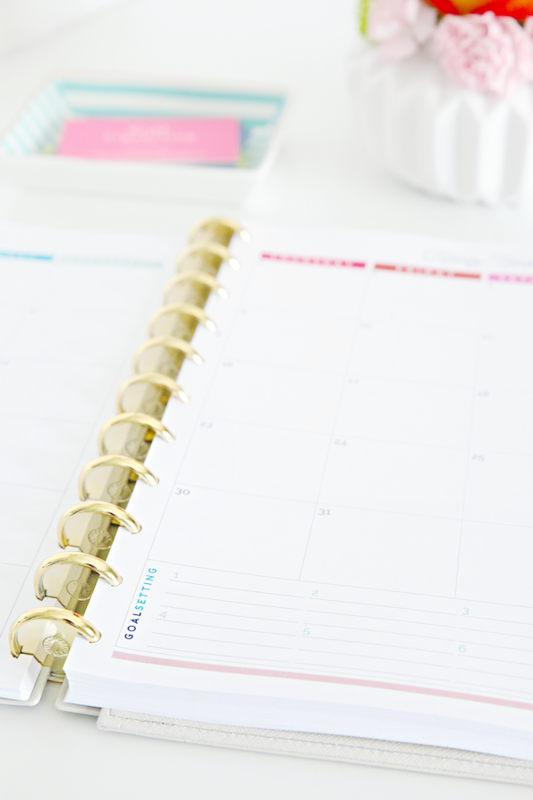 The printables as a whole make me feel excited about what is ahead and making plans, but the Goal Setting portion of each week is exactly what I need to stay focussed and on task. I have big dreams, a creative spirit, and 1,001 ideas swirling at all times, and if I don't force myself to prioritize I can feel a little lost in it all. This area really guides me in compartmentalizing my different roles and assessing my primary goals at any given time. 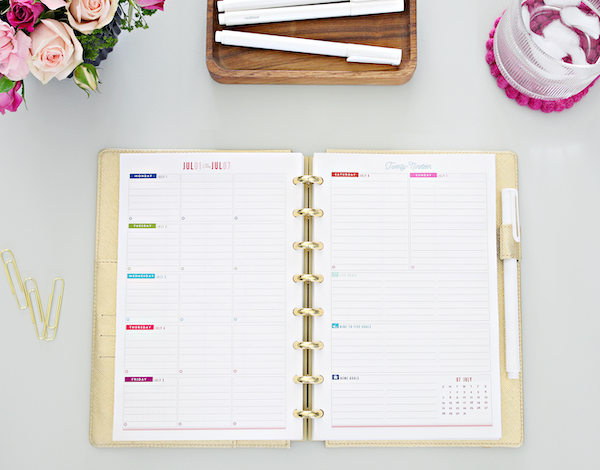 Near the back of the planner is an area to keep track of the dates that are important to you from year to year; birthdays, anniversaries, holidays, etc... as well as multiple lined Notes pages. Again, when you purchase any of the sizes, you will receive a PDF file of each of the three layout options to select from. 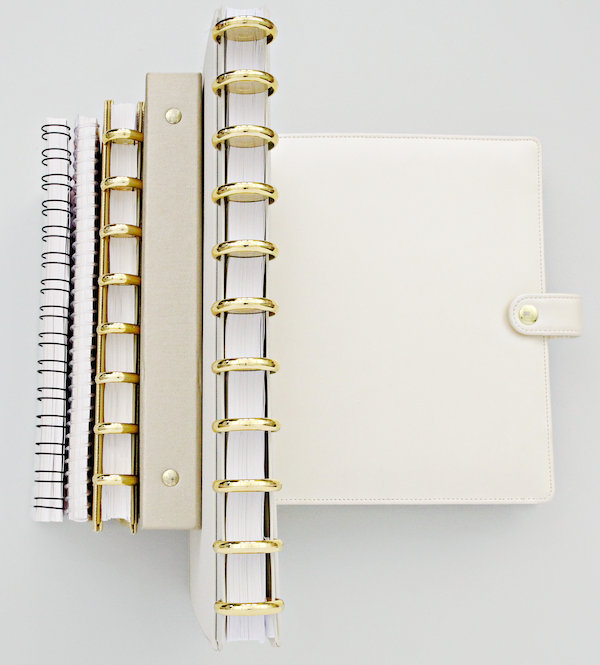 Standard size pages can be used in a three-ring binder, full-size discbound notebook, spiral bound and even book bound. 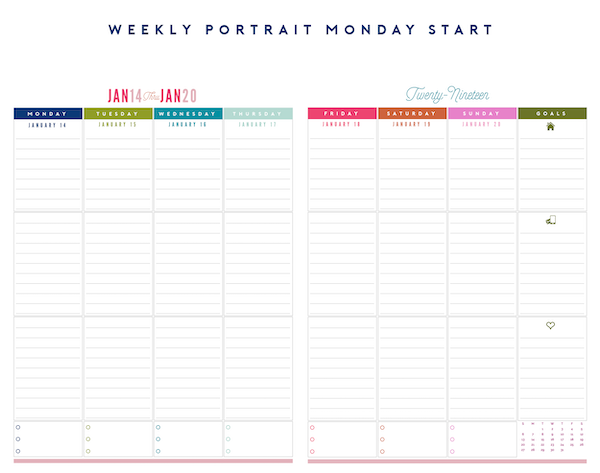 This version works great in a larger work tote or as a desk/counter planner due to size and writing room. Shown with this binder and these gold discs. I am especially gaga for the gold discs from the Martha Stewart discbound collection at Staples! They really elevate the entire look! 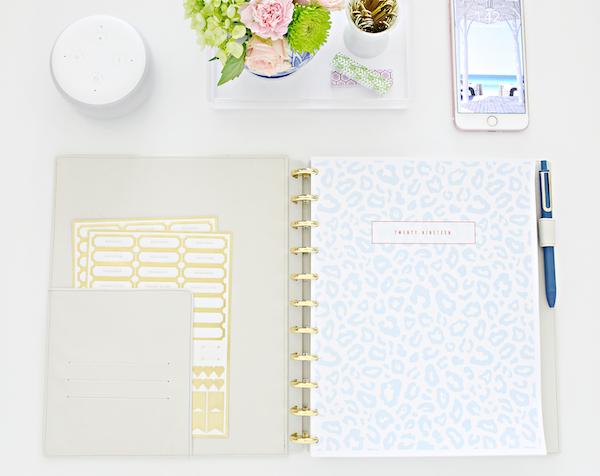 The Junior sized pages can be used in a mini-three-ring binder, junior-size discbound notebook, spiral bound or book bound. 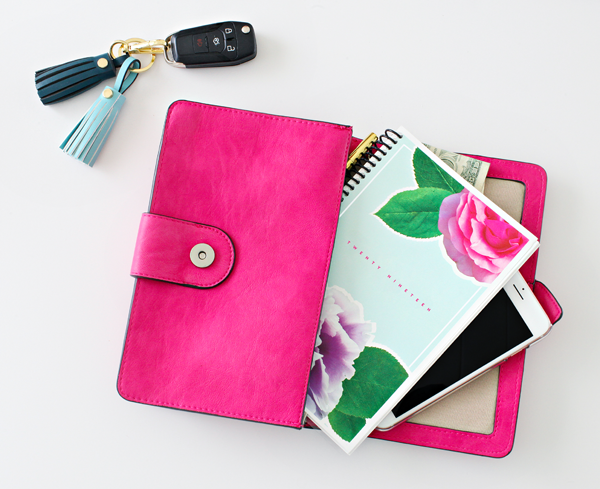 Because of the smaller size, it makes a great addition to your purse or backpack! The A5 offers a slightly wider writing area than the junior while continuing to provide that highly desired portability factor! 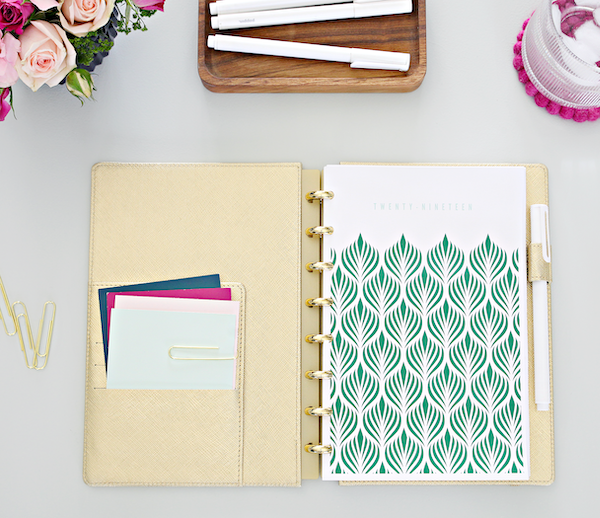 These pages work especially well in Filofax style planners, but can also be spiral or book bound. Another enhancement this year is that you no longer have to wait for me to get you those personalized coversheets! 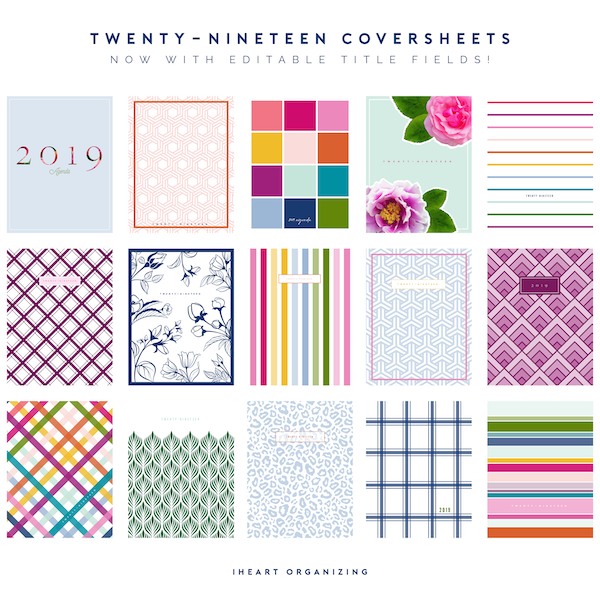 When you order your coversheets, you will instantly receive a variety of files which includes a printable prefilled with a Twenty-Nineteen title, or a blank version that offers you the flexibility to personalize however you wish! 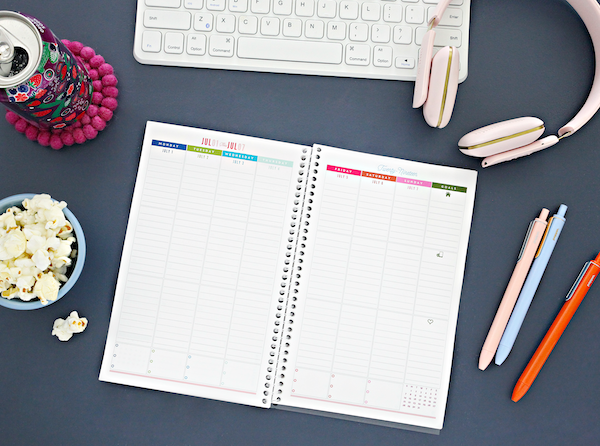 2019 coversheets are filled with bright and beautiful colors! 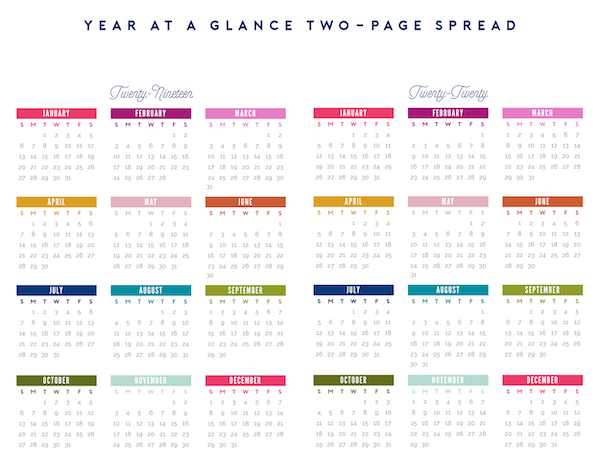 All of the colors have been slightly modified this year, and truly compliment the internal planner pages. With 15 designs to choose from, there are a variety patterns and color options to fit your personality and style. 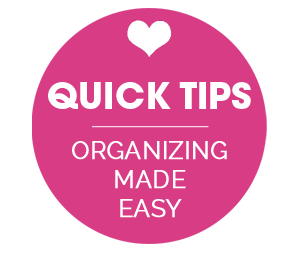 Quick Tip: The coversheets looks best if personalization is typed out in all CAPS and with a space or two added between each letter. These pages look best when printed on bright white, 24# (and up) weighted paper. I purchase mine on Amazon (this full size and this A5 size). To print the half-page junior, I ask a local printing company to cut my full-size ream of paper in half (also, many stores will price match to Amazon which I find runs lower than most in-store pricing). 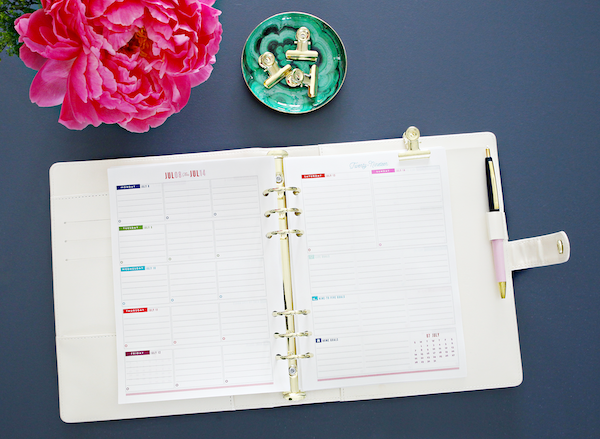 You will need a special paper punch to utilize the discbound planner options (check out this one and this one). Also, Filofax/A5 binders require a special six-hole punch which can be found here. If you don't wish to purchase an A5 paper punch, you can purchase the A5 paper size pre-punched here. 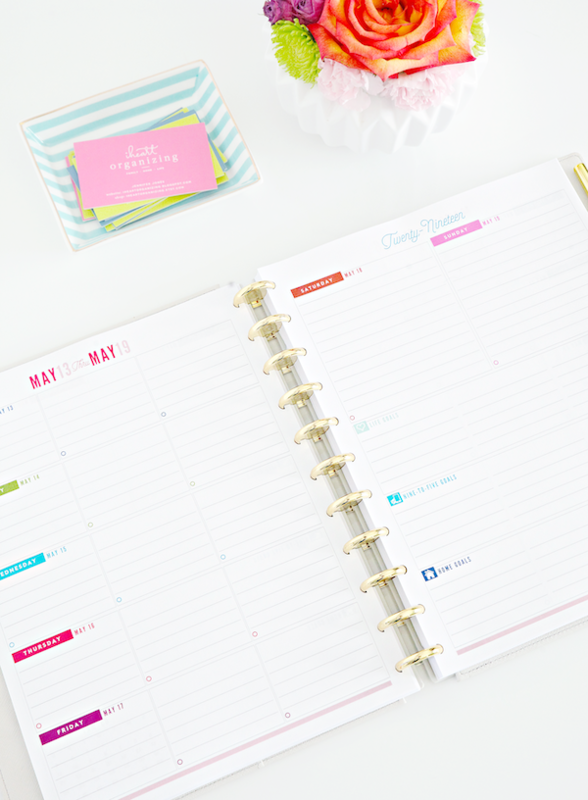 If you wish to have your planners printed by a professional printing company, many will require a Print Release. 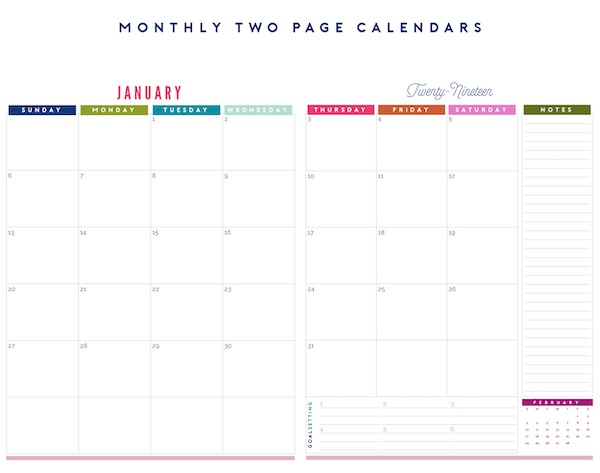 One is available for download with each planner purchased. Color printing can become expensive at many print shops, so I recommend checking out Best Value Copy. I have ordered from them on numerous occasions and their quality is spot on, they have a variety of paper types, they can print both standard and junior sizes, they can add coversheets and backs, and they offer multiple binding options. If possible, I recommend ordering from them with your friends to cut down on their shipping costs. 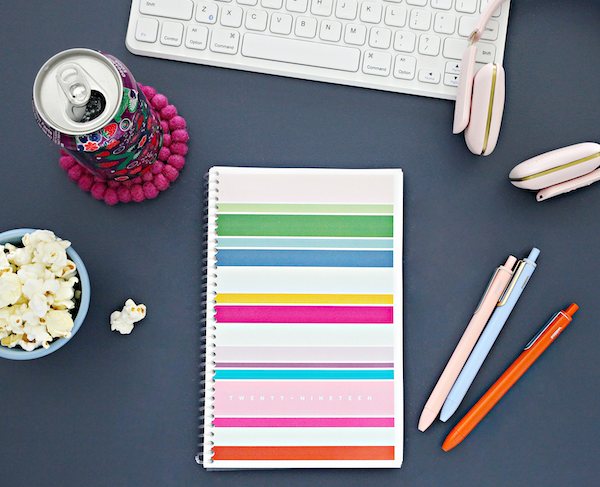 Staples re-released the Martha Stewart discbound planners and they are beautiful! That gold! 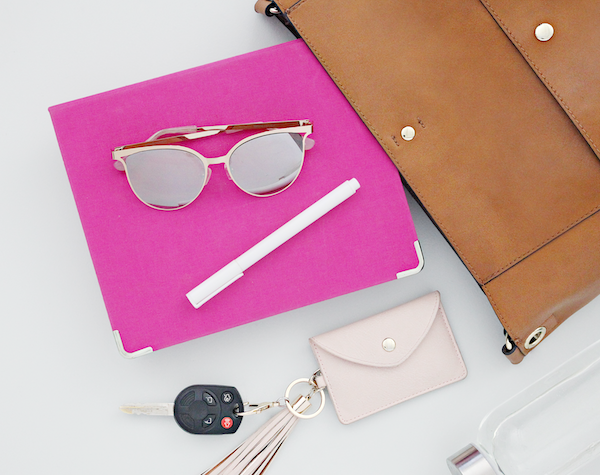 You can shop all of the accessories here. I am over-the-moon in love with two pens for my pages. These gel pens by Poppin (so chic!) and these felt-tip pens by LePen (offers an ultra-fine tip). The best prices I have found on beautiful A5 ready binders are actually at craft stores, especially when paired with their frequent coupon offers. I personally have and use this one and couldn't be happier with the quality and amount of additional storage I can add. 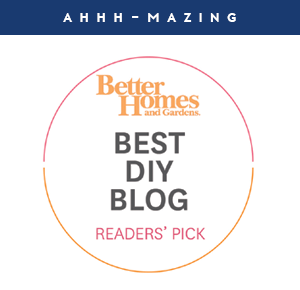 I prefer to utilize a color laser printer for all of my print-at-home product, nothing compares to the quality and although the ink is pricey, it lasts me for a very long time. I personally own this printer and have been really happy with the duplexing, wireless capabilities, and the overall quality it provides. However, I also have a business need and understand that the investment might not be worth it to most. This is my third or fourth HP printer and I have never been disappointed with any of them, in fact, I just continue to upgrade for features only. 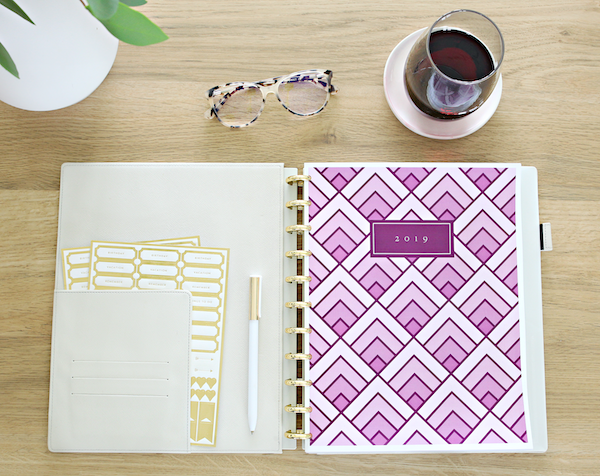 I currently do not offer these planners printed, bound and packaged; all sales are for digital PDF files only. 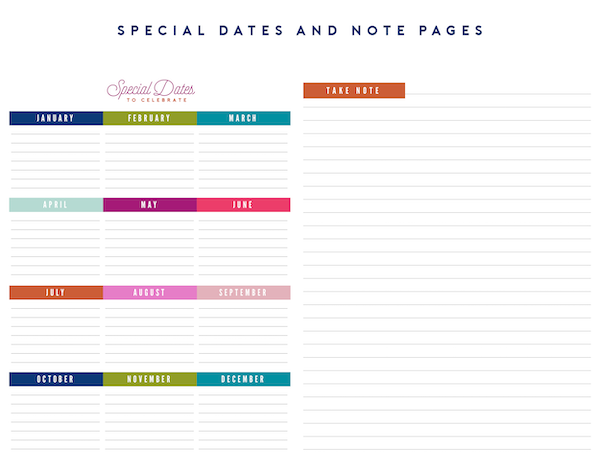 At this time, planner pages cannot be customized for specific needs, however, I always consider your requests for general page updates while designing future pages. 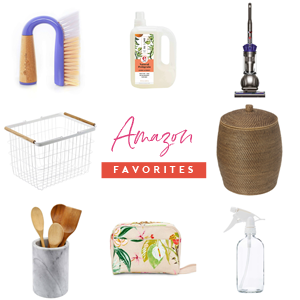 You can shop my favorite planner accessories below, or check many of them out in my Amazon shop here.